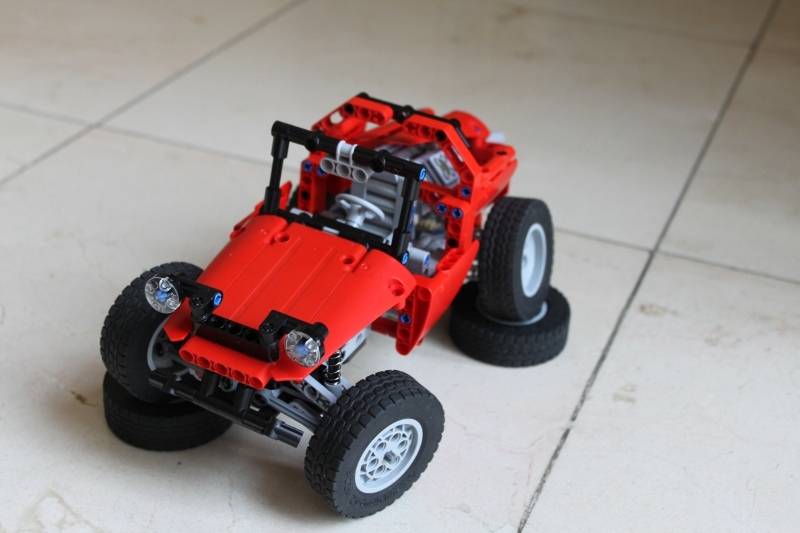 Today Guillaume (GuiliuG or lego7777777), a builder from Belgium, presented his Small Buggy at EB. It steers via the steering wheel, features a rear working engine and full suspension. Very nice and simple for the overall size. Well done! See more at GuiliuG Brickshelf folder. At first look I think this is unseen set 8081 extreme cruiser :D.I hope we see extreme cruiser as soon is possible. That's a nice little model! I wonder if the mysterious Extreme Cruiser would be anything like it. Thanks for sharing my creation Conchas ! I'm a little surprised to see you prefer it to my forklift because this small buggy has nothing special in my eyes^^ But i shoud maybe stop denigrate me, it's one of my big problem. Sorry for my bad english and again one time, thank you ! In fact I was considering to post the forklift, at a first instance. But as you stated and asked opinion at EB, it is a fixed position video and at some periods the model is out of the framework, which I didn't like.